NEXDIM DVD LAUNCH PARTY : Get ready for the blast on Saturday 11th August . If you already have your invitation for the NEXDIM DVD LAUNCH PARTY scheduled for Saturday 11th August 2012 @ Celebrity Corner, Hotel Residence , Buea , it’s about time you start getting ready for the RED CARPET MOMENT with the most dazzling and jazzy designs you have in your collection. 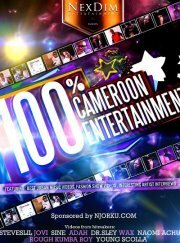 NexDim Entertainment shall be thrilling you with a myriad of live performances by Cameroonian celebrities by Denzyl (SA), Dr Sley, Da Thrill, Steveslil, West Don, Achalle, Rhythms, Hansel, MK Bright, K-Square, Trackzone Crew, MD Tha Rap Monsta and many more. Beyhia Leonard Bruce (Station manager 105 Fm), Paris based Afro jazz artist FIRE TONGUE equally confirmed their presence at this mind-blowing event. 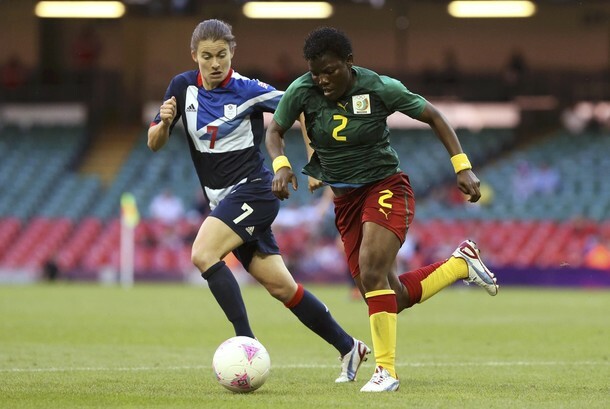 The Indomitable Lionesses seem to still be reeling from the effects of their 5-0 thrashing at the hands of Brazil. Against team GB ladies, the Lionesses took another beating:3-0. The game, that pundits and fans hoped would be different from the first, turned out to be another loud and unequivocal pointer to their impotence. Despite their will power and best intentions, they were outmanoeuvred and overpowered by the British Ladies. No amount of coaching or half-time midfield come-togethers could winch them out of the helplessness, further compounded by their amateurism. The Ladies were clearly out of their league. With the New-Zealand team still on their menu, one can only hope that their next defeat is less than 3. The way they are playing doesn’t convince me their swansong match can be a victory, much less a draw. After having guided his team to a win in the league, Cameroon’s Anzhi striker Samuel Eto’o put up another excellent performance in their qualifying game against Hungarian side Honved. Eto’o scored two goals, gave an assist and was omnipresent in this game. His two goals came at the 8th and at the 81st minute of the game. With this victory, his team is on the verge of qualifying for the Europa League. At this rate, the player seems set to recapture the excitement and enthusiasm that used to accompany the mention of his name. Only recently, he scored in a league match against Kuban Krasnodar. Hip-hop fans, sit up and listen. This concerns you. A date has finally been set for the release of Jovi’s album. According to Mumak Records exec Jules Nya, the highly -anticipated treat is due for release come August 30 this year on online stores like iTUNES. 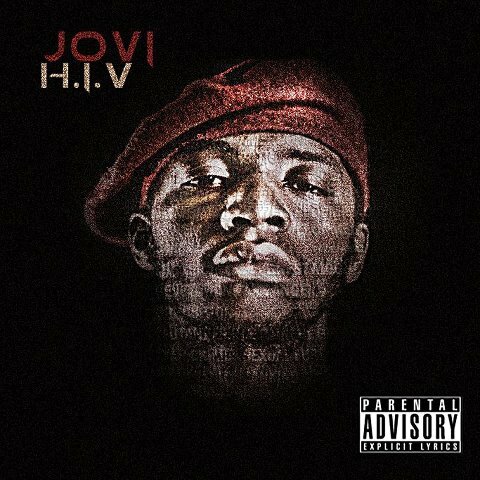 After having tickled our musical fancy with tracks like “Don for kwat” and “pitie”, Jovi is finally ready to let the world have the full package. As the countdown continues, here is a peek at the album cover. 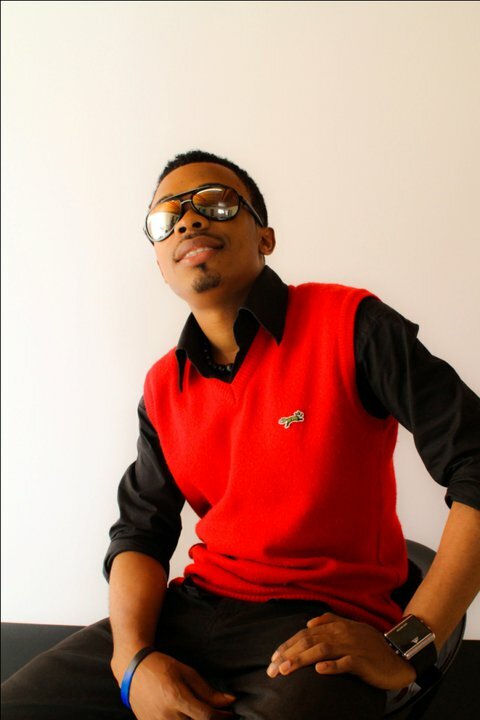 TRACKZONE – affiliated artist MK Bright just dropped a brand new single titled ”Party time” .This dance-hall patterned song was produced by DJ Subzee. Cameroon 0 – Brazil 5: Now, that hurt. 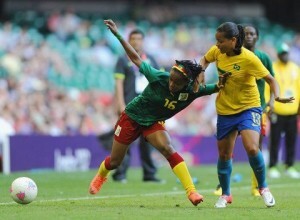 The Indomitable Lionesses yesterday suffered a spanking at the hands of their Brazilian counterparts. After the final whistle, the score board read 5 for Brazil and nada for Cameroon. So, despite all the hope generated by their qualification, at the expense of African giants like Nigeria, the Lionesses seem to be lost for inspiration. The match was entirely dominated by their opponents and if not for our goalkeeper, the scoreline would have been worse. We just hope that the Lionesses aren’t suffering from the Lions’ fever. 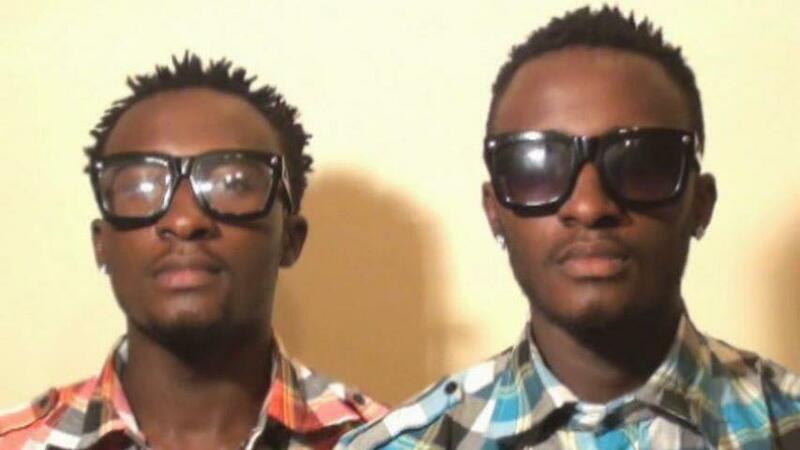 The hiphop scene in Bamenda seems to be getting richer by the day. Looking at the talent from that part of the country,one can only agree. After guys like Jovi, Magasco and Dr Kapt, here comes Blueprint Hakeem. Listen and appreciate for yourselves. 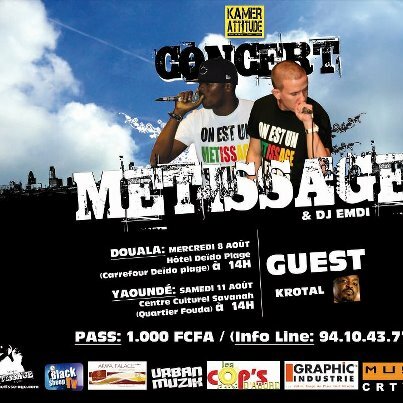 A two -venue concert tour by Franco- Cameroonian rap group Metissage has been slated for this August. Come August 8, 2012, the group will be performing in Douala at Hotel Deido Plage as from 2 p.m. Three days later on August 11, they will performing in Yaounde at Centre Culturel Savannah as from 2 p.m. Cameroon-based artist Krotal will equally perform with them as a guest artist.